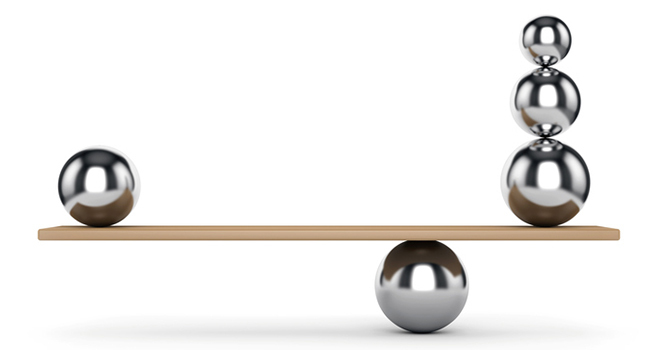 To help you understand the fundamentals of creating leverage, let’s take a look at a seesaw. With the fulcrum in the middle, the weight at one end is capable only of lifting the same weight at the other end. In order for the lever to lift more, the fulcrum must be moved toward the heavier end, as shown in the image below. What does this example have to do with creating leadership leverage? Everything. 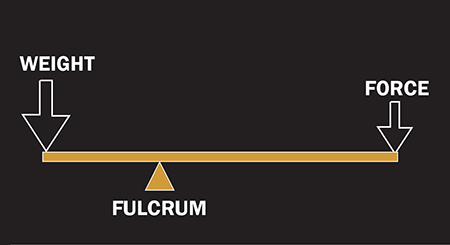 Let’s substitute the word “focus” for “fulcrum.” If you, as a leader, want to lift more weight, you must move your focus toward the weight you want to lift. Leaders lift people. If you want to create leverage through people, put your focus closer to your people. Quite often I meet team leaders who are easily frustrated when team members fail to produce. It’s almost as if they’re surprised…and they shouldn’t be. Most people don’t really understand what’s required to be successful in real estate. They need the team leader to help them understand. It’s the team leader’s training and coaching that creates leverage because the team leader is effectively duplicating him or herself through their team members, especially as the team members start finding success. There are no secrets to success. It’s more about mastering the basics. Do you have good presentations, listing and closing action plans, and marketing systems? Focus on putting the basics in place, then build on them over time. Anything done more than three times requires a written system. How should your people answer the phone? What information should they collect from a buyer or seller prospect? What should they say when calling an expired listing? You will need systems for everything. Your systems don’t need to be perfect. This is hard for many team leaders to understand, but perfection isn’t possible. Instead, write out what works for you and keep working with your team members until the systems are mastered. As you learn new ways to improve the systems, revise them and then train your agents on what you’ve learned. Once you put the systems in place for your team, make sure to focus on how your team members are applying these systems. What are they saying to prospects? What objections do they need to be prepared to overcome? Where do they need to improve? What are their results, and where are they falling short? A leader’s job is to create an environment in which others can be successful through their own efforts using the leader’s proven systems. Increase your leverage by keeping your focus very close to the members of your team. You will notice a difference, and so will they. Cleve Gaddis is a master coach with Workman Success Systems and team leader with Gaddis Partners, RE/MAX Center in Atlanta. He learned sales the hard way, selling vacuum cleaners door-to-door, and now puts those skills to use in helping his team close $60 million annually. He loves to share his systems and strategies to help others succeed. He hosts the Call Cleve Atlanta Real Estate Show heard weekly on NewsTalk 1160 WCFO. Contact him at Cleve@GoGaddis.com.